Mega Moolah (Microgaming) and Mega Fortune (NetEnt), two record-breaking slots with fantastic progressive jackpots continue making millionaires across the world. These progressive jackpot games constantly compete for the top spot among the most popular and most rewarding online slots in the industry. So far, Mega Moolah has been winning, though just barely at times. Since the beginning of the year, the progressive jackpot of Mega Moolah has been won two times (January and March). Each winner got a little over €6 million and it seemed that the run of luck can’t continue, right? Apparently, it was a wrong assumption as on April 25th another huge jackpot was claimed. This time, the mobile version of Mega Moolah made a player from Tipico extremely happy. Not only was this jackpot enormous, it actually broke the record as being the largest mobile jackpot win in recorded history. The player, who chose to remain anonymous, claimed €8,012,153.35. This win is truly life-changing and the fact that it occurred so soon after the progressive jackpot of Mega Moolah was claimed twice indicates that your chances of becoming a millionaire with this game are real. Mega Moolah is an outstanding slot in many ways. It currently holds the leading position in the industry as the most popular online slot of its class. It’s safe to assume that almost every player who has ever visited a Microgaming powered casino has played Mega Moolah at least once. For some, this was a very special ‘once’ as several jackpot winners made their wins after making only one tiny bet. Mobile Mega Moolah has broken the record of the largest claimed jackpot not by much. The previous holder of the post amounted to about €7.9 million. It also belonged to Mega Moolah, so there is no doubt that this game gives you plenty of opportunities to win big. The greatest thing about this Microgaming online slot is that the jackpot grows extremely fast. You can see it increased by several million within a handful of weeks, so every time you log into your online casino account, you can try winning much more. Microgaming is currently recognized as the biggest progressive jackpot network in the world. Over the years of its existence, it has given away more than €716 million in jackpots, changing the lives of thousands of people. 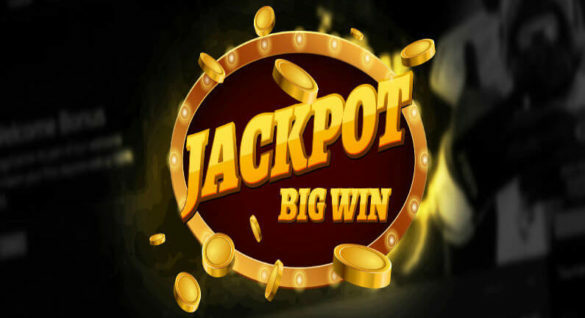 This latest jackpot was won with a bet of €6.25 at Tipico and as it always is with Microgaming, the happy winner will get all their money as a single lump sum. Microgaming is one of the leading software developers in the online gambling industry and you can enjoy playing their games at a variety of casinos. Their network expands all the time and now even Multilotto, a renowned betting service, uses Microgaming’s Quickfire platform. This means that as of now, every person who loves Multilotto would be able to play 600+ Microgaming titles when visiting their online casino. Mega Moolah is, of course, one of them. Leading Microgaming-powered casinos are IWCasino, Rizk Casino, Betsson Casino, Cashimo Casino, and Chanz Casino. A €2.5 bet and a single spin. This is how much it took a player at Casumo Casino to become a multimillionaire. The lucky guy from Sweden won €3,317,639 and became the 4th millionaire in Casumo history. This is the second biggest win in the casino’s history and it occurred shortly after another multimillion jackpot was claimed in Mega Fortune Dreams (€4.6 million). The 28-year old winner of the latest Mega Fortune progressive jackpot was overwhelmed by the realization that he has just become a multimillionaire. In his interview, the guy said that he just wanted to relax playing a jackpot game after coming back from a night shift. The happy winner says that he isn’t going to change his life drastically but will use the money to fulfil the dreams he couldn’t afford to before. He also said that he will share his winnings with his family and a yet unannounced charity organization. According to his words, he also plans to become a sponsor or a ‘”godparent” to a child in need. These are undeniably commendable goals and it’s a surprise to see a winner so open about his management of jackpot winnings. One cannot argue that this time Mega Fortune’s millions went to a deserving individual. This game has been making millionaires for years and only Mega Moolah poses a serious competition to it in the fight for the leading spot among the most popular progressive jackpot slots. NetEnt, the creator of Mega Fortune and hundreds of other amazing titles never disappoints with their games that can be enjoyed at all leading online casinos. The company has also recently spread its presence to Canada. On the 5th of May, a representative of NetEnt has announced they’ve received a license to become a supplier of online gambling software in British Columbia.